Warning: NEVER Buy These Easy, Amazing Items! 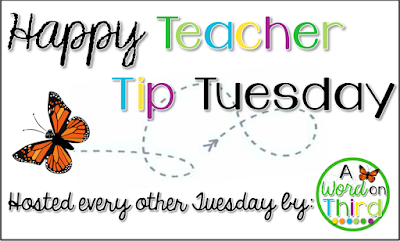 It's another Happy Teacher Tip Tuesday! Link up (even if it's not Tuesday) by writing your blog post and adding it below. Make sure to visit this page for the rules of the linkup. 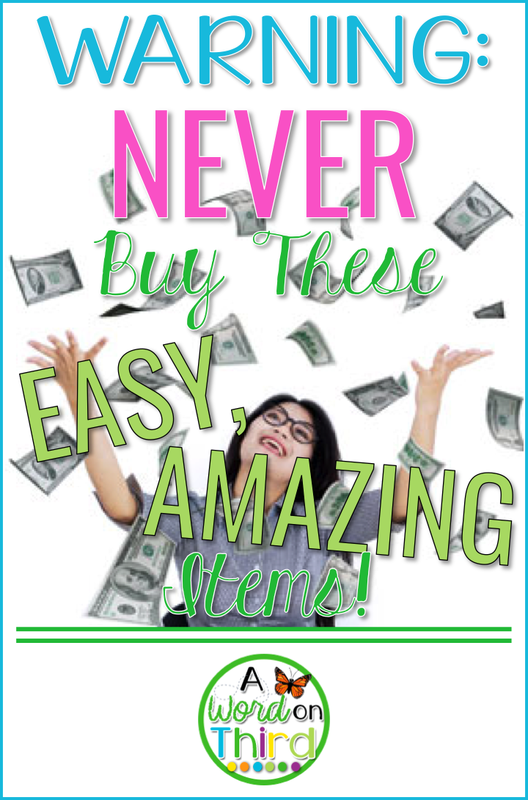 Ok, I admit it: my post title is dripping with sarcasm, but it's because the idea behind today's post is really simple, but we complicate it often. If you need something convenient, but you can make it yourself, JUST. BUY. IT. You have so much to get done, and so little time to get it done. You have to teach, you have to eat, you have to sleep, you should exercise, you'd probably like time to spend with your family, hobbies might be nice... SO MANY THINGS exist to make this easier for you. I find that because it's an extra few bucks, we take the harder route. But what are you going to miss more--your time or your money? I'm guessing it's your time, but can actually do a lot of this in a really affordable way. especially if it means you won't make that healthy teacher fuel if you have to cut/wash it, which will make you spend double on buying lunch anyway. but you haven't purchased it yet because you know you can make it if you spend a lot of time on it... YOUR TIME IS WORTH IT. because making one will take longer (and it might actually be more expensive after you buy all the supplies anyway). for an hour or two every few weeks so that you don't go crazy and get to spend more time with your family. Spotify Premium or Pandora so you can be happy in your classroom when you're working alone after the kids have left for the day. I was raised with a mentality that I should not buy these kinds of things because they were not the best use of money, and I have so many teacher friends that feel the same way. Just look at the way we hoard things in our classrooms, hoping they will come in handy someday so we won't have to buy it. The truth is, while I'm still a smart spender, the more things like this I buy, the happier I end up being. I don't need to design the most adorable schedule cards ever, because they are available on TeachersPayTeachers. OH WAIT, THE MOST ADORABLE ONES ARE FREE. (YASSS Cara Carroll). Since we have a tendency to make things harder for ourselves, especially when we're going back to school, and I am here to provide you with your reminder that you are awesome, and you deserve to cut yourself some slack. So I want to know, what little things did you tell yourself you shouldn't buy? What have you started doing to make your life a little easier? I love turning on Spotify after the students leave! And prepped veggies are a staple. Thanks as always for hosting this linky. Yes!!!! When I jumped on the prepped veggies bandwagon, I was a MUCH happier person!! Sometimes you just need 'em to GET IT DONE.